So you've been collecting Funko Pop! vinyl figures for a while, right? We're sure your collection is awesome, but how about adding a little bit of mystery to it? 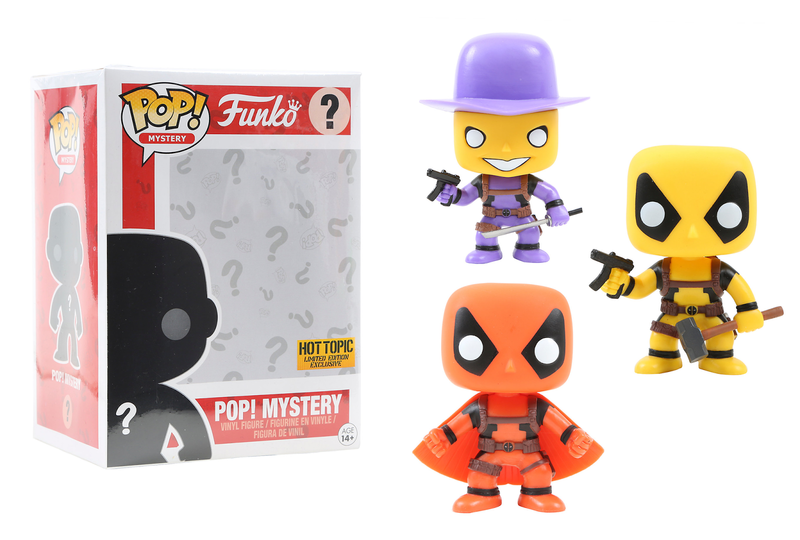 Introducing four Hot Topic exclusive vinyl figures in blind boxes. Choices include Marvel’s Mercs for Money featuring Stingray, Slapstick and Madcap. Plus, an ultra-rare chase figure. What is it? Sorry, it's a surprise! And which one will you get? That's completely random. PS There's a full Pop! box inside the mystery box, so in-box collectors have nothing to worry about.